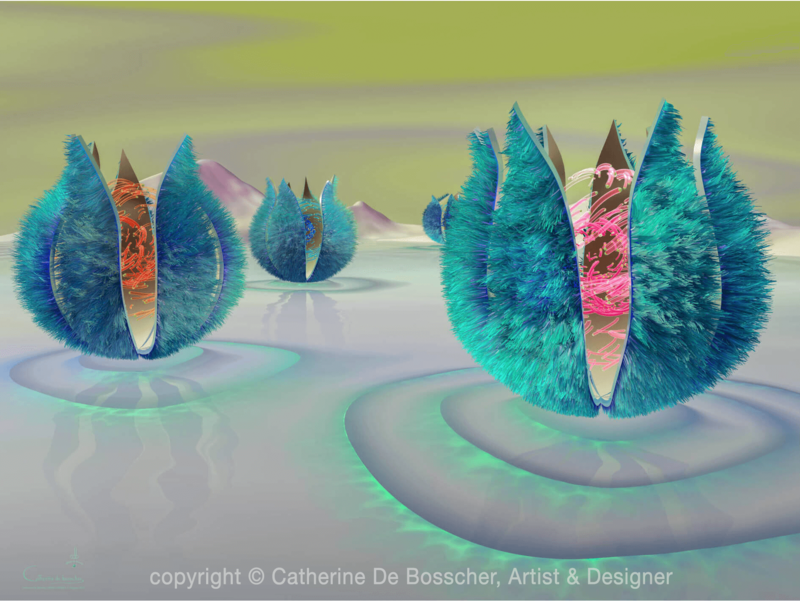 Theme: I’m exploring an imaginary world made of strange and beautiful shapes in a fantasy and intriguing landscape inspired by nature, architecture, biomorphism and geometry. My subject is all about the mystery of life. 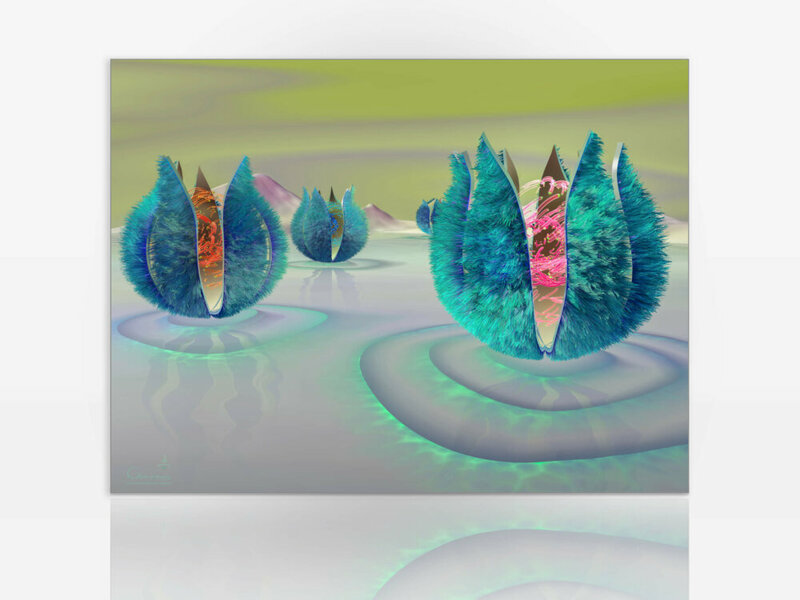 For me, my surrealist style is like an escape from the reality, a window through another world. I make great importance to the colorful atmosphere of the whole, the harmony of the composition as well as its appearance of movement. 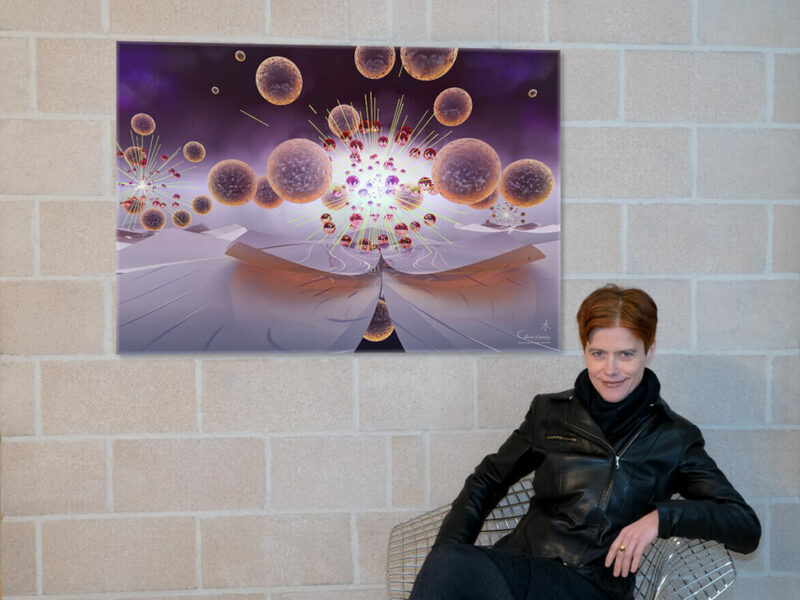 Technique: I design all my artwork from 3 D objects that I have built using 3D design tools, once the scene completed, the painting is rendered on high definition for printing on high quality medium. My digital painting are a result of a long thought process from the initial ideas on sketches to final rendering which can take sometimes a few months of iterations. 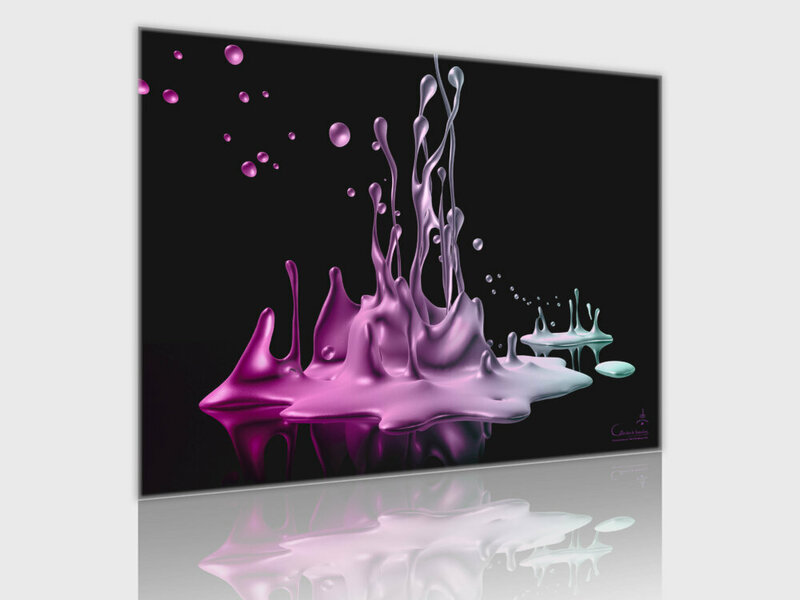 Support: Diasec: Original High Quality Photo Print mounted under crystal clear Acrylic Glass. Extraordinary depth as well as a color accentuation. Brilliant colors. High gloss finish. Resistant to UV light. 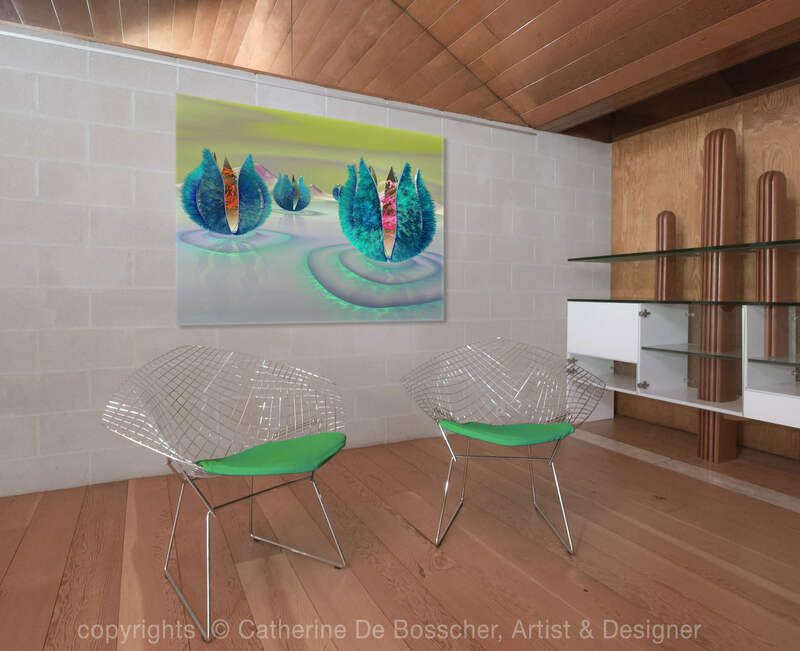 Frame: There is no visible frame which gives you the artwork the Appearance of floating away from the wall but the artwork is ready to hang with wall-mounts attached to the Dibond backing. Edition: Limited and signed edition of 2 per format. Size: 128×96 cm. Alternate Size: This item is also available in a larger Size: 160×120 cm Price: 3600 €. 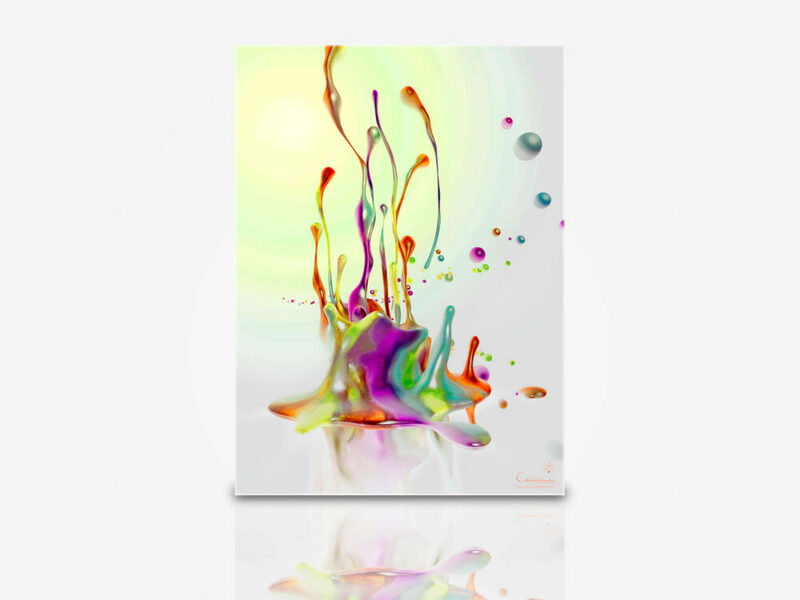 Digital painting, facemount glossy diasec.Edition of 2. Brilliant colors. Resistant to UV light.